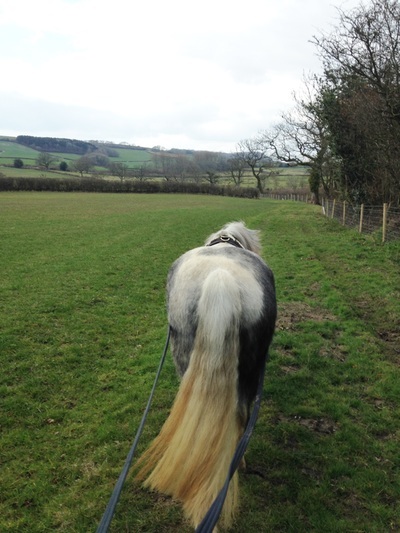 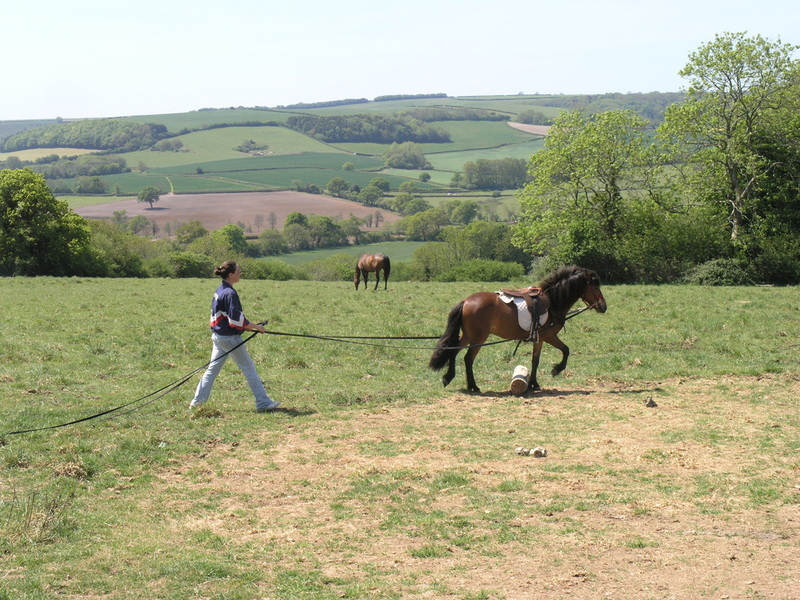 Long lining teaches the horse to become move balanced and controlled, creating a more confident horse, where you can work in harmony both on the ground and whilst riding. This two-day course will teach you the invaluable tool of double line lunging, and demonstrates the advantage of using this technique over single-line lunging. 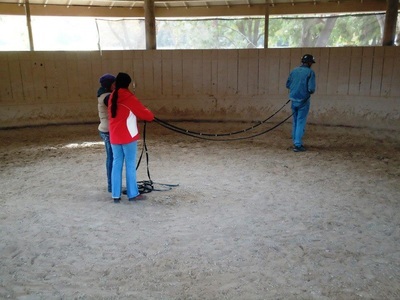 It will consist of both practical work in the round pen and obstacles outside of the round pen, in addition to theory, helping you understand how horses learn and the benefits of using this training technique. 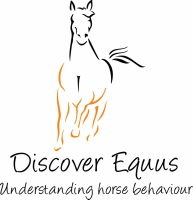 If you are interested in taking part in a long lining course, please contact Anna at discoverequus@gmail.com to arrange dates. Due to the nature of this course, it will not be possible to use your own horse unless it already has experience of long lining. 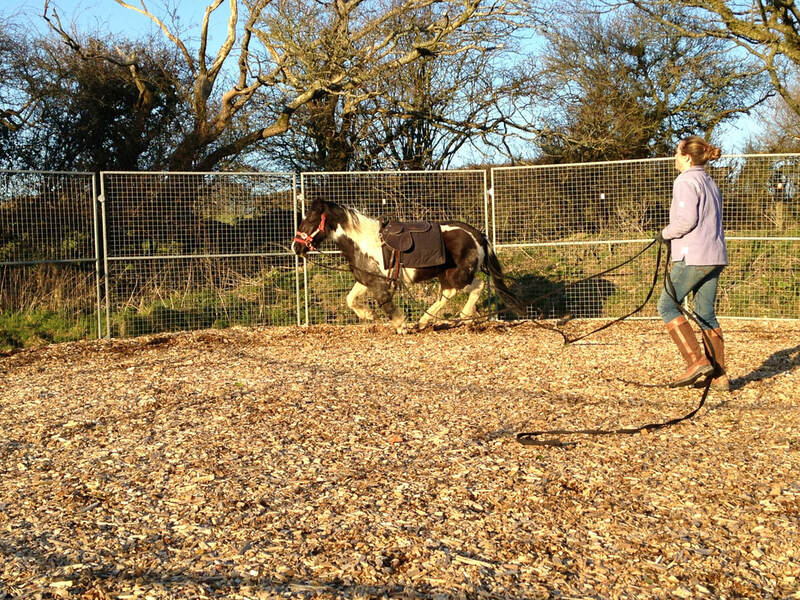 However, you can bring your own horse, where Anna can teach it long lining as part of a demonstration.